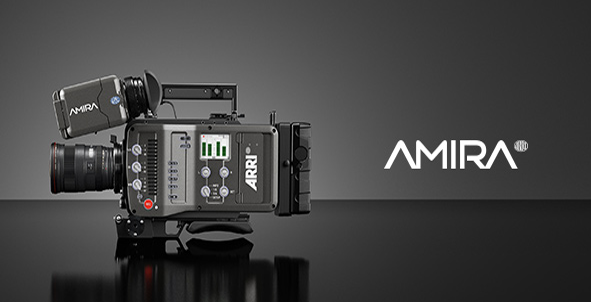 With the EF mount, AMIRA users can benefit from the huge range of available EF mount stills lenses, electronically controlling the iris in these lenses through the camera’s user interface. B4-type lenses with an integrated servo module gain support for the auto iris function, while one other servo button can also be used as an assignable user button. Waveform display – a further tool for judging exposure levels. Connects Amira Viewfinder MVF-1 to MVF socket on the Amira camera. Small sized standard 24V power supply (GS220A24). Not for outdoor use. Includes an attached cable with 3pin XLR male connector for ALEXA/AMIRA power cables and a power cable with Schuko plug. No AMIRA or ALEXA power cable is included. The audio slot allows a direct integration for wireless audio receivers. It includes a buffer battery for up to 30 sec buffering for changing batteries without powering down the camera. It replaces the camera battery adapter and is available as AB Gold mount. The audio slot allows a direct integration for wireless audio receivers. It includes a buffer battery for up to 30 sec buffering for changing batteries without powering down the camera. It replaces the camera battery adapter and is available as V-Lock version.